With the Moment Factory interactive team launching its new video presentation, we thought we’d sit down with its director, Jean-François Larouche, to better understand the studio's perspective on interactivity. Hello Jean-François, would you briefly explain what interactivity means for Moment Factory? Today, the majority of interactive experiences we live are individual and occur through an interface that isolates us: a computer, TV, phone or tablet. At Moment Factory, we break this interface out into the real world, the world that surrounds us. 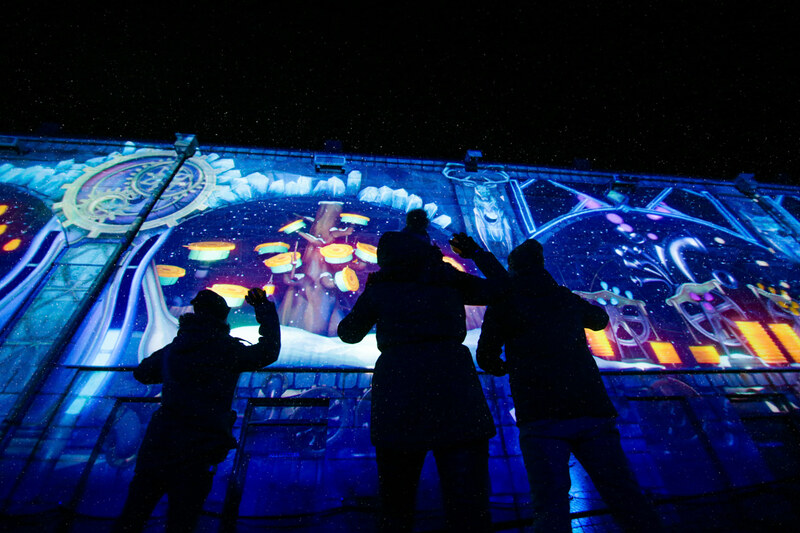 We hijack technology to create interactive and collective experiences that bring people together and make them connect both with each other and with their environment. We bank on interactivity to create surprises, fun, magic and memories. To what extent does the user experience (UX) come into play in the creation of collective interactive experiences? User experience goes hand-in-hand with interactivity. As Don Norman so aptly put it, designing a user experience involves a design process that addresses user needs in all aspects of the product or experience. To successfully develop user-centred design, we have to work closely with users throughout a project. It’s the only way to truly understand their needs and how they behave in the experience, to in turn gradually adapt it. According to you, what makes for a good experience from the user’s point of view? I consider an experience to be a good UX when users don’t need instructions, where everything is instinctive. Sounds simple, but it’s extremely complex. Making sure that the experience can be understood and appreciated by the greatest number of people possible, regardless of their origin or age, requires many tests. And so, this is always our challenge at Moment Factory. The contexts and the spaces in which we create experiences are often outliers, and we rarely have the opportunity to run life-sized tests in the field. What types of experiences does the interactive team create? 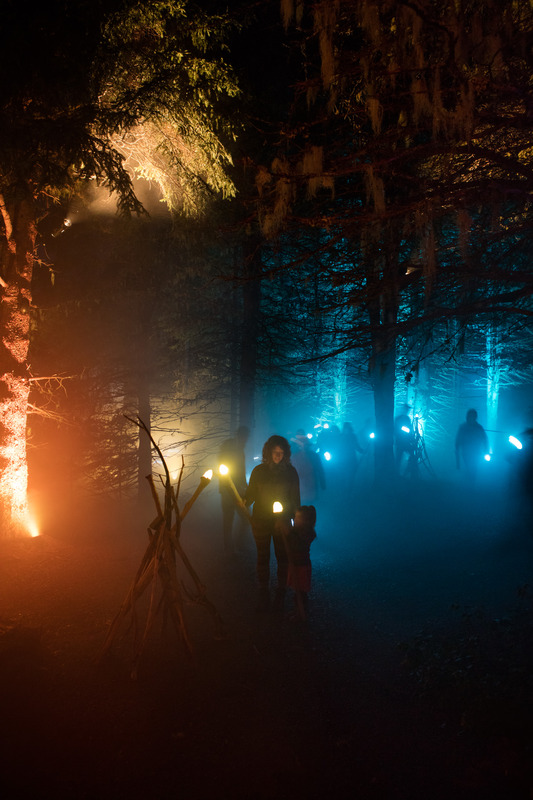 The first type of experience is a tactile one, which we call “Touch.” We get people to play together, such as in the Lumina Borealis interactive installations. The second type of experience, called “Body,” focuses on the ways in which the body can be tagged and tracked, and can even control the experience. 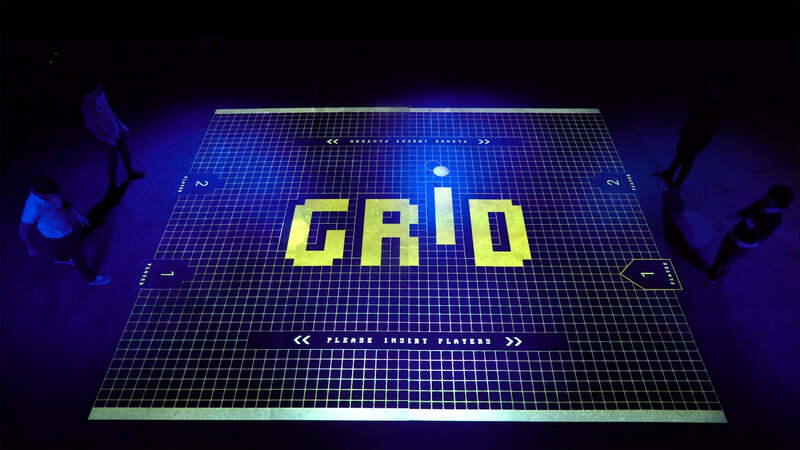 The GRiD project is a good example: this collective game, inspired by the arcade culture of the 1980s, transposes the mechanics of a classic game into the public space. Players are physically immersed in the game and they control it by moving their bodies. The third type of experience, called “Portable,” includes the visitor’s use of made-to-measure connected objects or tangible objects. 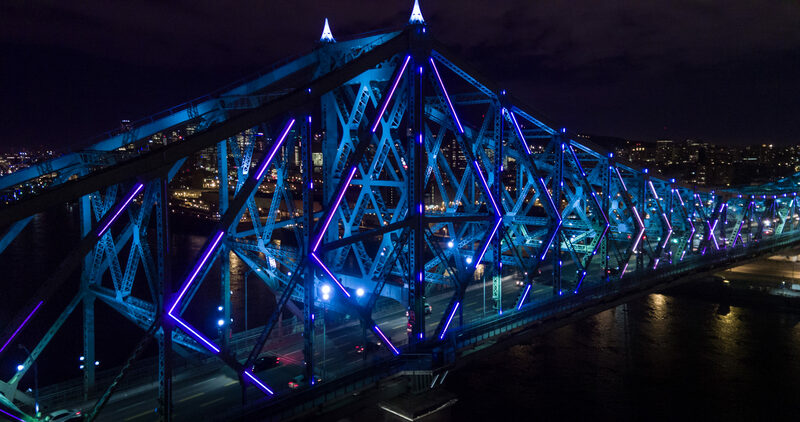 It can range from the fun use of glow sticks in Nova Lumina to the interactive portion of the project Illuminations: nature/human, whose content is revealed only to the one who illuminates it. Because they are connected to technology, these objects become magic, blurring the boundaries between what’s virtual and what’s real. The tangible interfaces make it possible to transform, for example, a mobile phone into a remote control. Visitors can then use their phones to interact with the experience, and even with other spectators. The fourth type of experience, called “Data Visualization” or “Living Visuals,” explores ways to create generative art, meaning visuals that take on life and are constantly evolving by being fed with data collected in real time. In your opinion, why is interactivity so important in a project? Interaction is important because it makes the public more engaged. Public engagement can sound like a buzzword these days, but the emotional component behind the idea is important: only by physically engaging visitors in an experience can we create memorable moments. If we put so much effort into creating experiences, it’s because we really want our audiences to remember them.